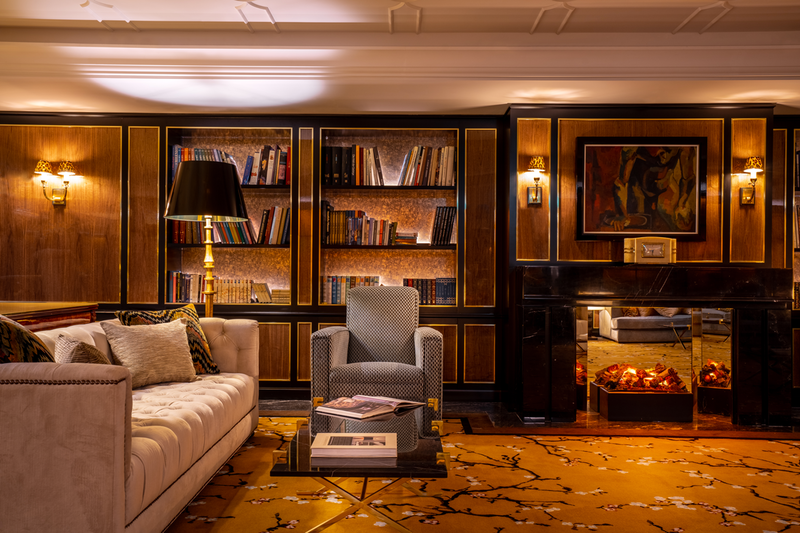 Floris Boyen, Belgian, with over 15 years of experience in the luxury hospitality business. 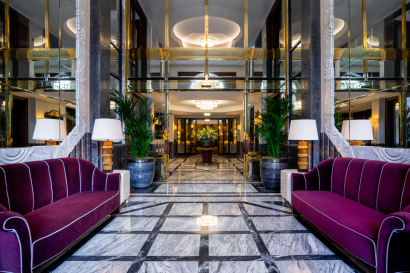 Passing through Russia, Africa, Peru and Brazil among others and climbing up through the ranks in properties such as The Mount Nelson, Copacabana Palace and Palacio Nazarenas. Love for Porto, discovering and sharing local experiences with guests while assuring international luxury expectations are exceeded are some of the values at the core of Maison Albar Le Monumental Palace. 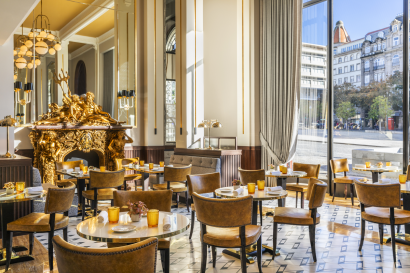 Le Monumental Palace is the flagship of the French brand Maison Albar Hotels. 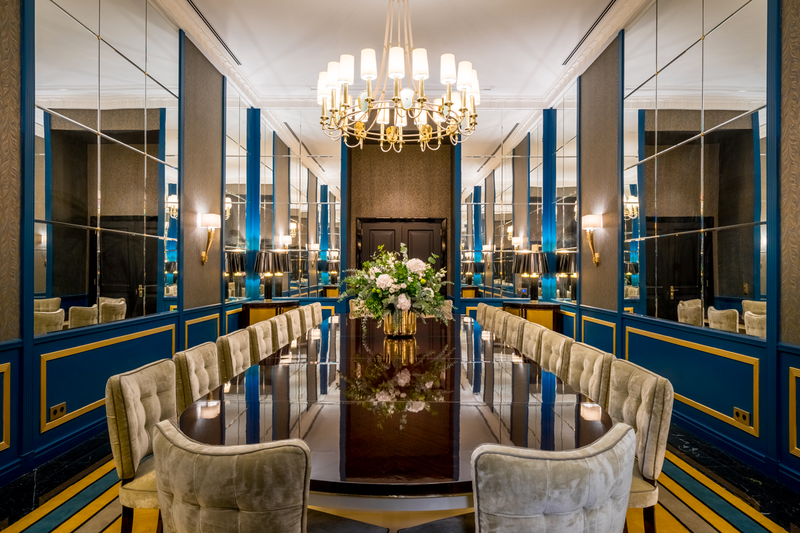 Destined to be your five-star second home, Maison Albar Hotels – Le Monumental Palace is based upon the elegant French art of living. Situated in the heart of the city, Maison Albar Hotels – Le Monumental Palace, built in 1923 in a Neoclassical style, connects Porto’s past to its future. 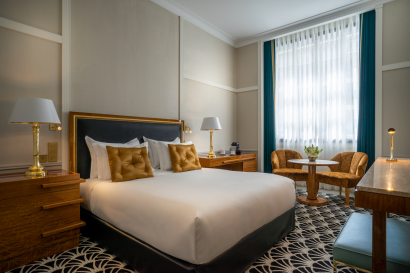 Only a stone’s throw away from Clérigos, Bolhao market, and Dom Luís I Bridge, the hotel features white marble from Estremoz, black ironwork, and high ceilings with a luminosity that will take your breath away. The hotel’s Art Deco lobby staircase sets the tone and pace for this lively, trendsetting and fine dining establishment. Here, food is a bastion of French gastronomic excellence with three different locations placed under the high command of a French Michelin-starred chef. It’s a monumental adventure to be experienced at the mouth of the Douro River, with your heart facing the ocean and your eyes gazing out across one of Europe’s most stunning destinations. Brilliant Michelin-awarded French chef Julien Montbabut serves haute cuisine dishes to his distinguished guests. In the centre of Porto, walking distance from the historic quarters, the river and all benefits of this historic and dynamic city you will also find a luxurious spa with an indoor swimming pool. The cosy decoration by Oito Em Ponto will make you feel at home. Avenida dos Aliados, in the historic heart of Porto. Stay at the exciting historic city centre, near Clérigos, the City Hall and the Dom Luís I bridge. Here you will find a variety of great restaurants, international shops and several leisure activities and points of interest that will take you to experience Porto’s way of living and make your stay even more memorable. A few steps from the hotel you will find the City Hall, Clérigos tower, Bolhão market, or Lello Bookshop, internationally recognized as one of the most beautiful bookshops in the world. A 10-minute walk will take you to Dom Luís I bridge and Ribeira, where you should try a glass of Port wine. For sports enthusiasts, enjoy a Champions League soccer game at Dragão stadium or try Oporto Golf Club, one of the oldest golf courses in Europe. The building where Le Monumental Palace stands used to be ‘Pensão Monumental’, one of the most luxurious hotels in the Iberian Peninsula in the 1930s. Monumental Café already existed by that time and was the trendiest spot for the bourgeois gatherings. Families are welcome to Le Monumental Palace! A VIP kit for the little ones will be waiting in the room. Please note that access to the Spa is not allowed for children under 16 years old. Room amenities: Living & dining area, kitchen, Nespresso, Safe, Spacious closets, Minibar, Balcony, Avenue View, NUXE Amenities, Bathrobe and Slippers, Marble Bathrooms, Bath and Shower. You will be enchanted by 21-century modernity and comfort in this Suite while luxuriating in their 1930s-style decor. Light from the Portuguese sky highlights every detail: pastel fabrics, gleaming lacquered woodwork and fine furnishings with well-balanced lines. 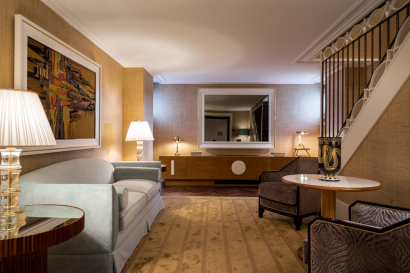 Room amenities: Living Area, Nespresso, Safe, Spacious closets, Minibar, Balcony, Avenue View, NUXE Amenities, Bathrobe and Slippers, Marble Bathrooms, Bath and Shower. Your Duplex on the roofs! The luxury of an exceptional duplex located on the 5th floor of the Monumental Palace. A unique view on the Avenue. Contemplate the lights of this Portuguese city from your balcony or through two windows. A charming atmosphere. 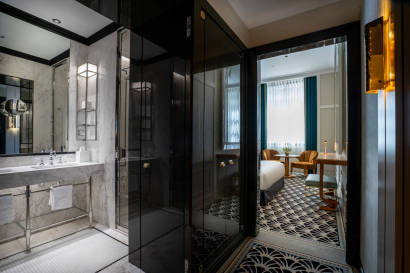 Room amenities: Living Area, Nespresso, Spacious closets, minibar, Avenue View, NUXE Amenities, Bathrobe and Slippers, Marble bathroom, Bath and Shower. Elegant and bright. An array of graphical motifs. 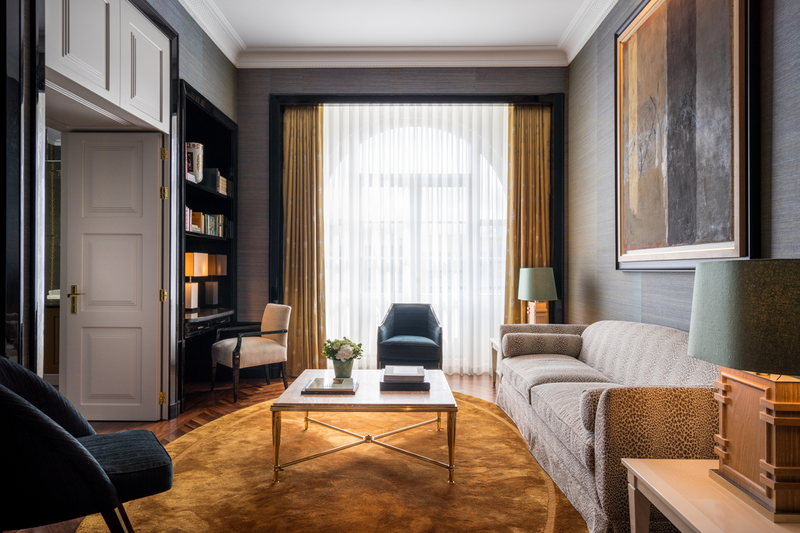 Elegant materials like pastel fabrics, lacquered woodwork and furnishings with well-balanced lines. Room amenities: Living Area, Nespresso, Spacious closets, Minibar, NUXE Amenities, Bathrobe and Slippers, Marble Bathroom, Bath and Shower. 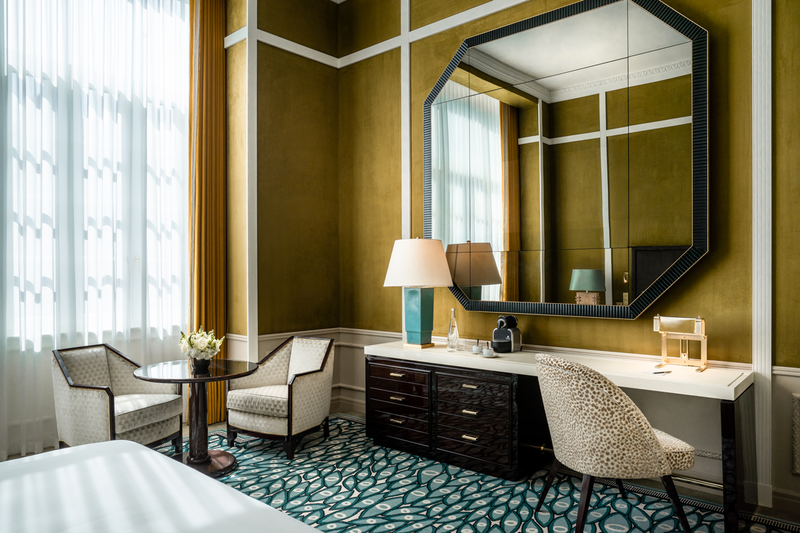 Endowed with noble materials, exquisite details and endless natural light, the Superior City View Rooms reflect the French style elegance which conveys with the sumptuousness of the Aliados Avenue. 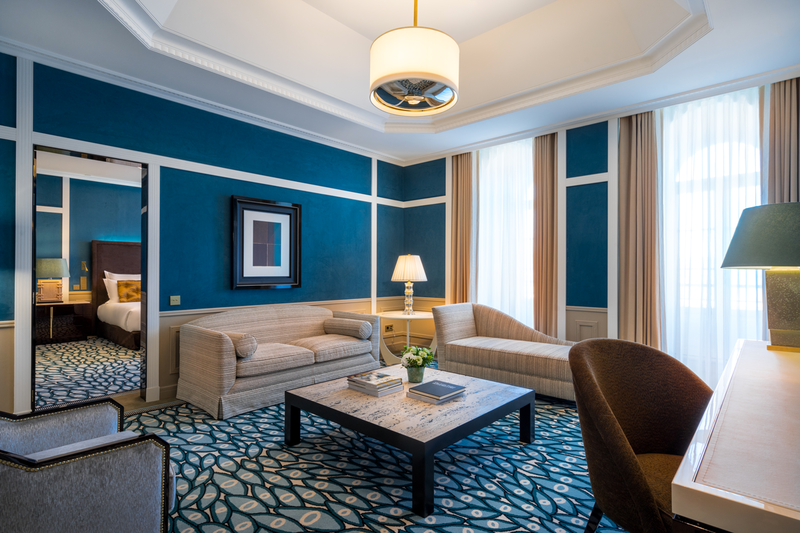 Comfort is found in the details, like the decoration in our Superior Rooms whose cosiness is due to a careful selection of materials and objects. An exceptional location with sumptuous marble and subdued lighting. 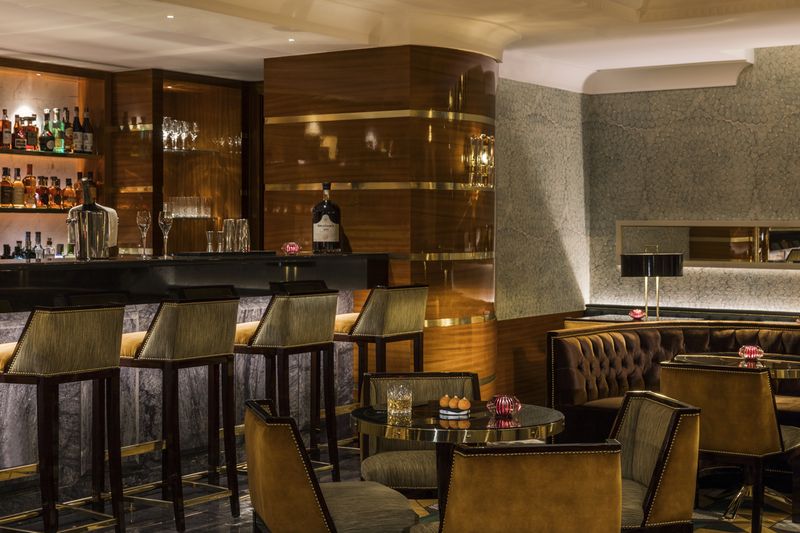 The French Michelin-starred Chef, Julien Montbabut, subtly marries flavours and accompaniments. Top-quality products are always featured. Indulge in a moment of pure delight ! Forget the outside world in the care of our experts, with our NUXE facial and body treatments. 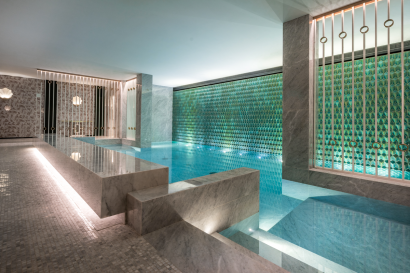 Immerse yourself in the mesmerising tones of the indoor pool, relax in the sauna and hammam and embark on a journey for the senses. Le Monumental Palace wants to be part of your life greatest moments. The intimate and cozy rooms can be styled to suit your challenging needs and are capable to offer unforgettable occasions, always with a leading-edge service. Our professional events staff would be glad to present you the best solutions for your perfect wedding, company’s meeting or birthday celebration. • Caramel Room: 45sqm, up to 45 people in theatre-style. Wifi, sound system, screen and projector included. • Personal training sessions, yoga and pilates classes on request and subject to availability.